One very important thing to take into consideration while doing sidewalk repair is, you have to make sure that when repairing the sidewalk their will be enough depth from the excavation to receive the new concrete. If the contractor didn’t excavate enough soil or break up the entire old sidewalk for repair, then while pouring the new sidewalk repair with concrete you will end up with a shallow thin concrete sidewalk slab. Which will end up cracking and breaking very quickly. Than you will need to hire another sidewalk repair contractor. Make sure that the typical industry sidewalk repair standards are followed. Confirm with your sidewalk repair contractor that the will provide approximately 4″ of new sidewalk repair. In some cases the customer might request a 9″ sidewalk repair, But all these issues can and should be discussed while hiring a sidewalk repair contractor. 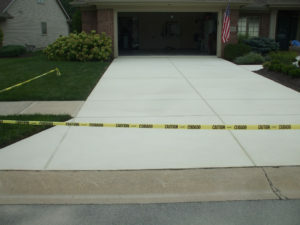 You can give us a call or request for a quote for any sidewalk repair.